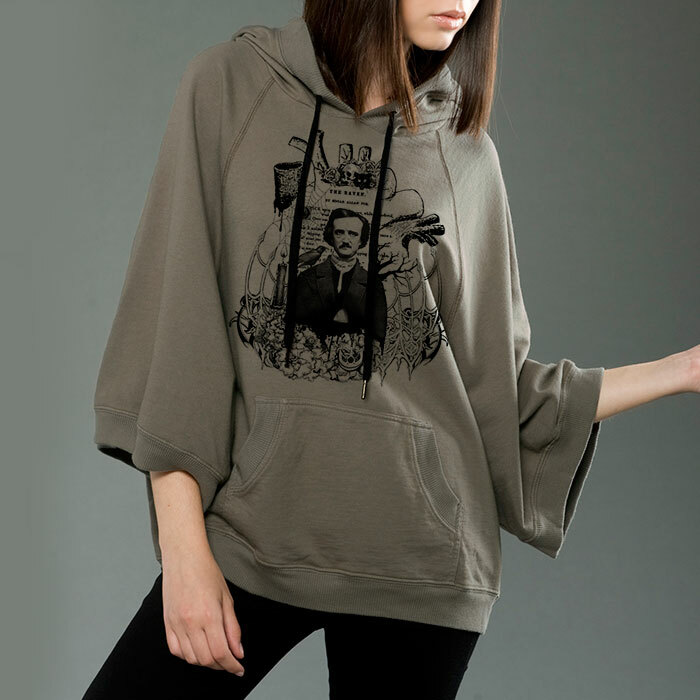 This effortlessly cool hoodie features a drawing and design of mine of based on a vintage daguerreotype of Edgar Allan Poe with a raven and words and engravings from the book circa 1875. 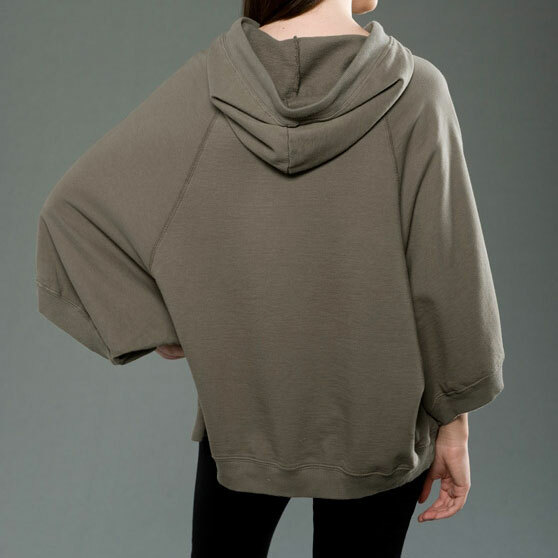 Design is printed in black on a stone colored Premium French Terry Poncho Hoodie. 100% 20 single ring-spun combed cotton creates this soft premium quality fabric. Screen Printed meticulously with care by hand in Colorado, USA. We love Poe's poetry. It's amazing to read his poetry in anthologies of poetry from his time. You feel like you could be reading poems from writers a century apart from each other. His poetry always feels modern. He creates such visceral feelings through his stories. This piece was part of a series of collages I did a few years ago and had elements handcut from 3 or 4 different discarded and damaged books. It is a piece that has grown on us over time. The raven never left Poe so it is fitting that it sits here on his shoulder forevermore!